Following the Pyeongchang Winter Olympic Games in 2018, the IOC and the Olympic Broadcasting Service decided on an unusual but impactful way of recycling material from the modular broadcasting studios used during the Games. Working with the UNHCR (the United Nations Refugee Agency), they shipped the material 6,000 miles to a Ugandan refugee camp where it was transformed into assistance facilities for the 220,000-plus displaced individuals living in the Bidi Bidi settlement. Here’s how they did it. Those who have had an eye on the Olympic Movement over the last few years will certainly be familiar with the IOC’s flagship Agenda 2020 strategy, which has been guiding the organisation and its operations since it was published in 2014. 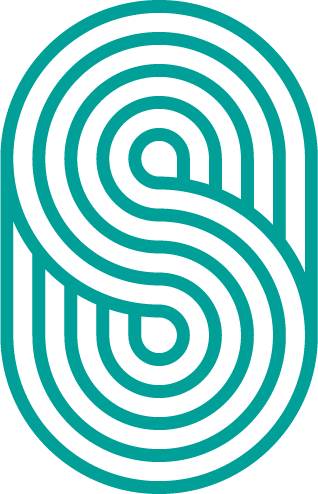 Sustainability, of course, as key plank of that strategy is an increasing priority and responsibility for the IOC on three fronts: as an organisation, as the owner of the Olympic Games, and as the leader of the Olympic Movement. Part of the negative impact cause by the Olympics Games is the construction of the International Broadcast Centres used by OBS. To mitigate this impact, the decision was made to end all permanent construction and to build temporary modular studios that would be moved between host cities and re-used. The first facilities of this type were used for the Rio 2016 Summer Games before much of the material was moved to South Korea two years later. But when it became apparent that some of the material was not fit for further use in this capacity, OBS and IOC had to make a decision about what could be done with it: recycle it in a traditional fashion, of do something different that would have a positive societal impact as well as a positive environmental impact. Led by OBS, the pair chose the latter. Following the Games, the 16 containers that were originally used to transport broadcast materials to Pyeongchang were reloaded and sent, by sea and road (and off-road), to the northwest corner of the East African nation. 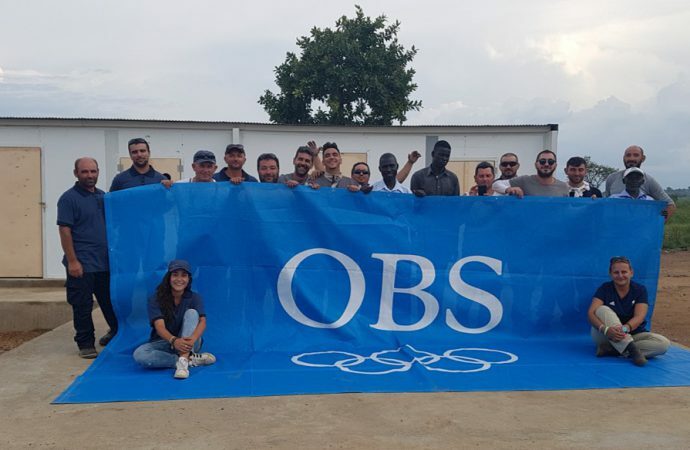 Led by project manager Eva Lantzouni, the crew that put together the broadcasting hubs in Pyeongchang travelled down to Uganda and constructed the assistance units and storage facilities for free. Some of the materials were used for housing and community spaces, some for the local police and some for the local government. One of the major parts of the project was the integration of solar panels on the camp hospital, the Midigo. 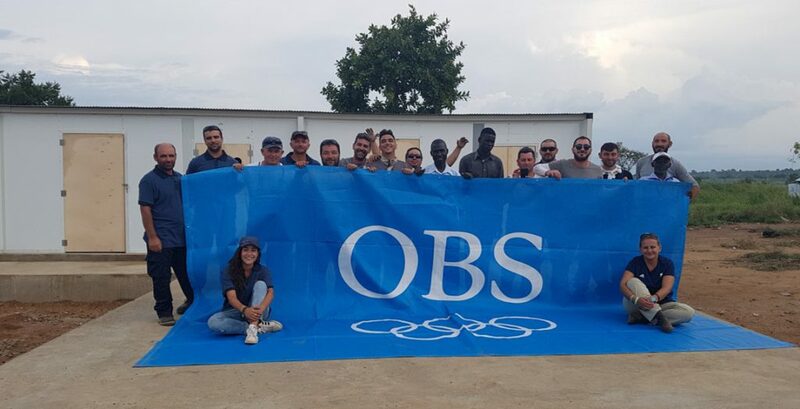 Although not originally part of the broadcasting hub materials, the OBS and IOC decided to acquire the panels for the hospital in order to save many lives that would have otherwise been lost. According to Duffus, doctors were trying to perform surgery in the dark, while there wasn’t enough electricity for blood bank freezers and women in labour often had no access to oxygen. Spare solar panels were also used to construct a second solar park, built to provide renewable energy to the nearby Yumbe Health Centre. As well as the several lives that were undoubtedly saved by the solar panel system at the hospital, the units have allowed the UNHCR and other NGOs to put resources into education in the area in order to help refugees integrate into society. The units, built by September 2018, also give incoming refugees a central point of contact with the local government and police, which also makes it easier for the authorities to provide them with the care and services they need. From an environmental point of view, initially moving the material between Rio and Pyeongchang meant that 3,000 truckloads of waste were avoided, with half of the cabling salvaged as well. The materials that weren’t donated to the refugee camp will be used again to create the International Broadcast Centre in Tokyo for the 2020 Olympic Games next summer. Following the Games, a decision will be made on the quantity of the materials that will be reused for the International Broadcast Centre being constructed for the Winter Olympics in Beijing in 2022. OBS, IOC and UNHCR are currently discussing options for redistributing surplus material after next summer’s Games. 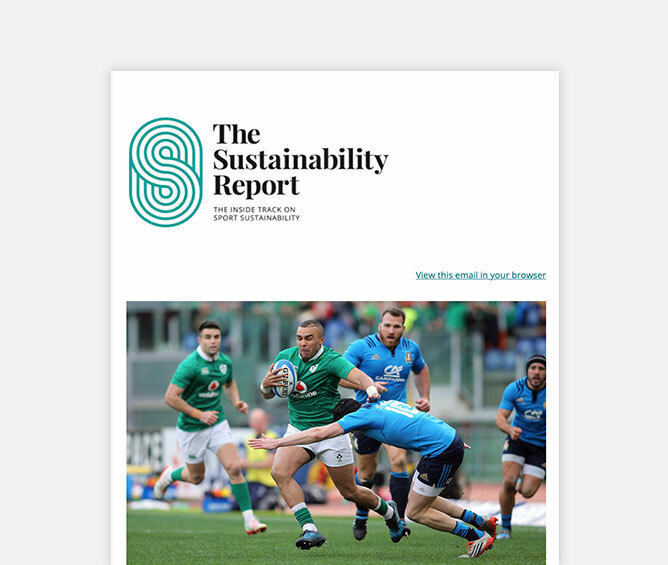 What other sports/events could use surplus materials to generate positive social and environmental impacts? Will temporary/modular facilities become the norm for major sporting events? Let us know in the comments below.